The sharp lively quality characteristic of high-grown coffee, tasted mainly at the tip of the tongue. The brisk, snappy quality that makes coffee refreshing. It is NOT the same as bitter or sour and has nothing to do with pH factors. Coffees are low in acidity, between 5 and 6 on the pH scale. The fragrance of brewed coffee. The smell of coffee grounds is referred to as the Bouquet. A machine which roasts a given quantity at one time. It does not continually roast beans. There is an identifiable start and end time to the roasters capabilities. The taste perceived at the back of the tongue. Dark Roasts are intentionally bitter. Over-extraction (too little coffee at too fine a grind) can cause a bad bitterness. The pale flavor often found in low grown robusta coffees. Also caused by under-extraction (too little coffee or too course a grind). A mixture of two or more individual varietals of coffee. The tactile impression of the weight of the coffee in the mouth. May range from thin to medium to full to buttery to syrupy. Tangy acidity is often described as bright. The salty sensation caused by excessive heat after brewing (truck-stop coffee). Espresso that is cut with very hot water to fill an American size cup. This can be prepared a variety of ways. Basically this is a chocolate cafe latte. Often prepared with whipped cream on top. Coffee served without cream or milk (cafe - French for Coffee, noir - French for black). While tasting wine is called "tasting", tasting coffee is called "cupping". A small (1/2 size) cup used for serving espresso. It is a French term meaning 'half cup'. A double shot of espresso. Also see solo. The drug contained in coffee. A bitter white alkaloid derived from coffee (or tea) and used in medicine for a mild stimulant or to treat certain kinds of headache. The caramel colored foam that appears on top of a shot of espresso during the brewing period. It soon dissipates after brewing. If your Crema is gone then you waited too long...or you received a bad shot! The crema makes a 'cap' which helps retain the aromatics and flavors of the espresso within the cup - the presence of crema indicates an acceptable brew.... Crema is due to colloids and lipids forced out into an emulsion under the pressure of a espresso machine. The spicy "of the earth taste" of Indonesian coffees. A brewing method that extracts the heart of the bean. It was invented in Italy at the turn of the century. A pump-driven machine forces hot water through fine grounds at around nine atmospheres of pressure. It should take between 18 to 23 seconds to extract a good shot. This will produce from 3/4 to one ounce of great liquid. This produces a sweet, thick and rich, smooth shot of espresso. Comes from the Latin word "Expresere" which means "to press out." Espresso with half and half. A shot that is pulled long for a bit of extra espresso. While many believe this maximizes the caffeine, in most shops this merely produces a bitter cup. Espresso with a minimal amount (or "mark") of steamed milk on top. Literally "restricted" espresso. A shorter draw. The goal being a thicker and more flavorful espresso. Unusual aromatic and flavor notes, such as berry or floral. The total impression of Aroma , Acidity , and Body. A device for making coffee in which ground coffee is steeped in water. The grounds are then removed from the coffee by means of a filter plunger which presses the grounds to the bottom of the pot. Also referred to as a plunger pot. Dark Roasted. Taste bittersweet but not like burnt charcoal. Milk which has been made thick and foamy by aerating it with hot steam. Coffee grown at relatively high altitudes, 4,000 to 4,500 feet. Coffee grown above 4,500 feet is referred to as strictly hard bean. This terminology says that beans grown at higher altitudes mature more slowly and are harder and denser than other beans and are thus more desirable. A shot or two of espresso that has been poured into a cup filled with steamed milk and topped off with foamed milk (about a 1/4"). A small irregular bean. Has a unique acid character. Generally shipped from Mocha Yemen. It is sometimes mixed with coffee shipped from Mocha Yemen. Coffee deliberately exposed to monsoon winds in open warehouse to increase body and reduce acidity. Normally, each coffee cherry contains two beans. Occasionally, a cherry will form with only one bean. These are called peaberries and are frequently separated and sold as its own distinct varietal. New Guinea is one of the more popular ones. This is the strongest and most concentrated espresso drink. It is made with about half the amount of water but the same amount of coffee as a regular espresso. It is pure, intense, and wonderful in taste. Ristretto in Italian means "restricted." A single shot of espresso. Also see doppio. Describes coffee grown at relatively low altitudes (under 4,000 ft). Beans grown at lower altitudes mature more quickly and produce a lighter, more porous bean. The flavor of particular spices. Coffee that has been exposed to oxygen for too long. It becomes flat and has a cardboard taste. 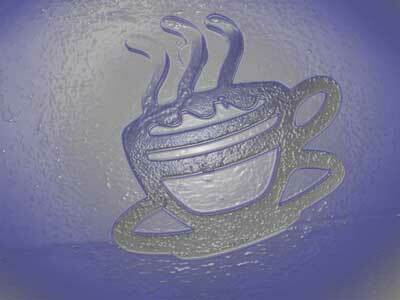 Smooth and palatable coffee that is free from defects and harsh flavors. 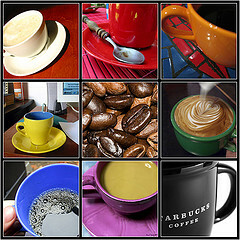 The appearance or color of coffee. i.e. "This light toned coffee resembles the brown robes of the Franciscan Order." The term used for the coffee that comes from a geographical region. A Sumatra, Kenya, Costa Rica or a Java are varietals. As in wine...soil, climate and cultivation methods affect the taste of your coffee. The term varietal is actually a misnomer, since Arabica coffee plants are basically of the same species, unlike wine grapes which come from different species of grape vines. A flavor reminiscent of fine red wine. Kenya is one of the most notables.